The Impact of Illegal Immigration in the U.S. The impact of illegal immigration in the U.S. has been a topic of widespread speculation and debate for some time now. 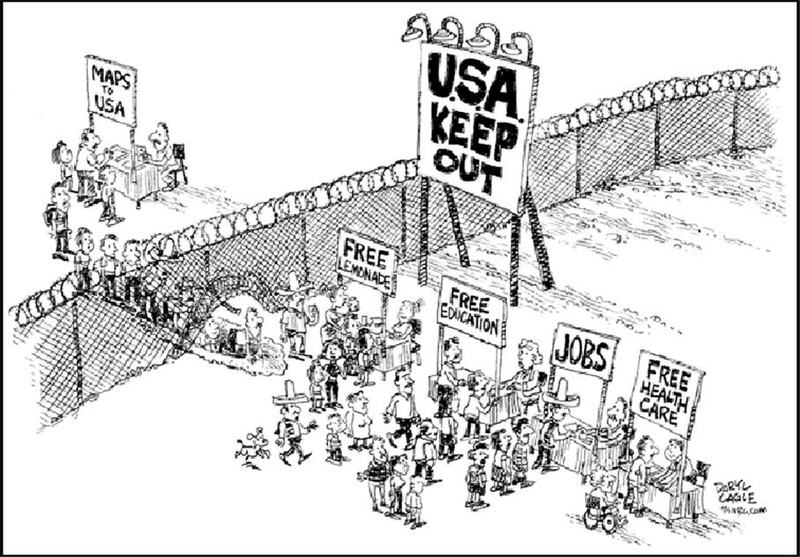 With context to what attracts illegal immigrants to the U.S. is the search for greener pastures and economic opportunities; illegal aliens or illegal immigrants to the U.S. come from all parts of the world. Despite the enforcement and the initiation of tougher measures by the U.S. immigration and other authorities to limit illegal immigration, the former’s desire to reach America is so strong that nothing in the world can dissuade them from not doing so. As the rest of it goes, they settle for the lowest wages possible and work in industries including construction, agriculture, and food-processing. Here lies the catch about why there is a demand for illegal immigrants: a globalized economy, the requirement for low-skilled labor at times of seasonal employment, the lack of a robust verifying mechanism for employers in the U.S. while hiring foreign workers, and the availability of labor at very low wages as compared to what American workers quote or demand. Further the American immigration policies have limited provisions for legal and permanent economic migration in the case of low-skilled workers. It is important to note that the American education system creates a small segment of people who are either high-school dropouts or have doctorates, thereby leaving a gap that needs to be filled by foreign workers. Therefore there is a dearth of workers required to complete seasonal low-skilled jobs or very high-skilled jobs. George J. Borjas, economist and professor at Robert W. Scrivner Professor of Economics and Social Policy at the Harvard Kennedy School summarizes the impact of immigration as – “The laws of supply and demand imply that, other things being equal, an increase in the number of low-skilled immigrants will lower the wages of comparable native workers, at least in the short run, because they now face stiffer competition in the labor market. In contrast, high-skilled workers may gain from the influx of immigrant labor. Not only will they pay less for the services these laborers provide, such as painting the house and mowing the lawn, but by hiring immigrant workers they will be able to specialize in producing the goods and services to which their skills are better suited.” This summarizes the fact that today with the transition of most of the world economy from manufacturing to an economy that is knowledge-based, it has provided for mass immigration. This is how low-skilled labor is fulfilled by immigrant workers in the U.S. Most of them take up these jobs as they fetch higher wages than what they would earn in their home countries. Furthermore, there is also the ‘network-effect’ in which immigrants in the U.S. bring in more immigrants from their home countries due to whom the market for low-skilled labor in the U.S. has become very competitive. There are some American states that are more volatile in terms of the influx of illegal immigration; however the numbers are catching up in the other states. Although certain reports on immigration state that the number of illegal immigrants to the U.S. has dwindled, the U.S. market has fewer jobs right now and it is rife with stiff competition. However there is the other side of the opinion; a New York Times/CBS News Poll report revealed that 53 percent of Americans thought that ‘illegal immigrants mostly take the jobs Americans don’t want’ and that ‘without illegal immigration labor, it would almost certainly not be possible to produce the same volume of food in the country’. Some banking corporations wanted to initiate mortgage for illegal immigrants to attract investments; however that sort of initiation and the uncertainty of an unpredictable loom large. The debate continues and time will tell.